I love having a little girl, especially when it comes to buying summer clothing! 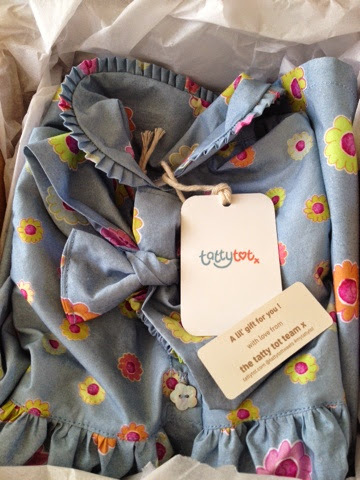 We were offered a beautiful Tea Party Dress to review from Tatty Tot Clothing and I couldn't wait to try it out. 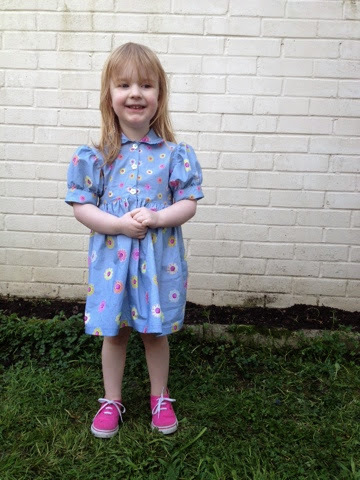 We received the 'Daisy On Blue' Tea Party dress. The dress came lovingly packaged as you can see below. Gracie tried on her new dress straight away and spent the day out in the garden with me. That day I taught Gracie all about gardening you can read my post on making gardening fun with kids here to see what we got up to as well as some action shots of the dress. Obviously by the end of the day in the garden the dress was covered in mud and grass marks. The label in the dress says to handwash only but Andy put it in the machine as I hadn't told him not to and it came out perfectly fine after a quick wash cycle and has been in a fair few times since. I have to say this is such an unusual style of dress these days, quite old fashioned but a massive ead turner. Every time she wears it we get people asking about it and whenever I Instagram a photo where she is wearing it, you can guarantee a 'what a lovely dress' comment. 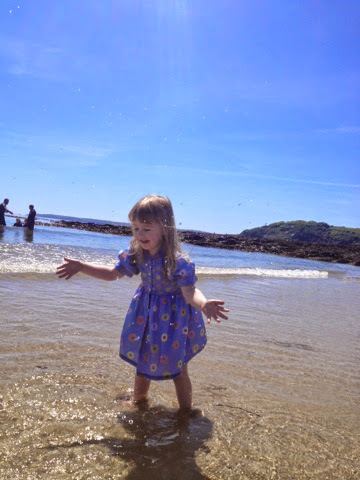 We took it on holiday last week and Gracie wore it on the beach and I was amazed at how quickly it dried after paddling in the sea. She didn't need to change into the spare clothes I had taken. The only downside we found to the outfit was the matching headband we also received was too small for Gracie's head so I had to untie the pretty bow to tie it around her head but even now it doesn't take long to fall off her head. which is a shame as it looks lovely together! I think she probably needed a larger size headband. The dress is priced at £49.50 which does sound expensive and was honestly my first thought before I tried it. The quality of materials used making the dress so long lasting make it a worthwhile investment. They also do a collection baby and boys clothes too so it is definitely worth checking out the website. I'm linking up to Tried & Tested. You can click the image below to find all the other posts in the Tried & Tested linky. Oh it really is just a gorgeous dress! And not pink! !